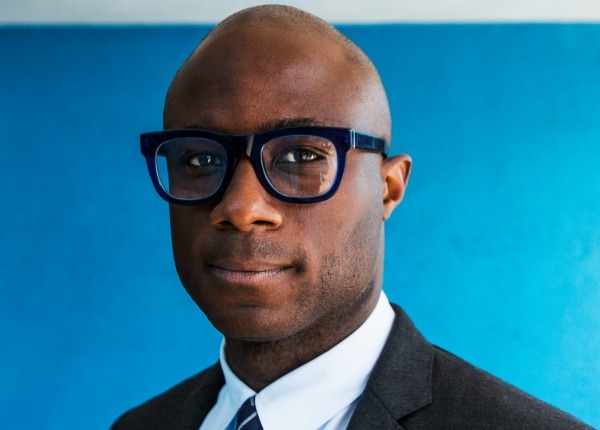 Writer/director Barry Jenkins earned a WGA Award nomination for Best Adapted Screenplay for "If Beale Street Could Talk"
The Writers Guild of America West (WGAW) and the Writers Guild of America, East (WGAE) have announced nominations for outstanding achievement in feature screenwriting and videogame writing during 2018. Winners will be honored at the 2019 Writers Guild Awards on Sunday, February 17, at concurrent ceremonies in Los Angeles and New York City. Nominated for Best Original Screenplay are Eighth Grade, Green Book, A Quiet Place, Roma and Vice. In the running for Best Adapted Screenplay are BlacKkKlansman, Black Panther, Can You Ever Forgive Me?, If Beale Street Could Talk and A Star is Born. Contending for the Guild’s Best Documentary Screenplay honor are Bathtubs Over Broadway, Fahrenheit 11/9, Generation Wealth and In Search of Greatness. Feature films eligible for a Writers Guild Award were exhibited theatrically for at least one week in Los Angeles during 2018 and were written under the WGA’s Minimum Basic Agreement (MBA) or under a bona fide collective bargaining agreement of the Writers Guild of Canada, Writers’ Guild of Great Britain, Writers Guild of Ireland, Writers’ Guild of South Africa, New Zealand Writers Guild, Film Writers’ Association (India), La Guilde Francaise des Scénaristes (France), Scriptwriters Guild of Israel, Société des Auteurs de Radio, Télévision et Cinéma (Québec), or Verband Deutscher Drehbuchautoren (VDD/Germany), collectively known as affiliate Guilds. Theatrical screenplays produced under the jurisdiction of the WGA or an affiliate Guild must have been submitted for Writers Guild Awards consideration. Documentaries eligible for a Writers Guild Award featured an onscreen writing credit and were exhibited theatrically in Los Angeles or New York for one week during 2018. Theatrical documentaries must have been produced under the jurisdiction of the WGA or an affiliate Guild to be eligible for awards consideration. The WGA’s Videogame Writing Award honors the best qualifying script from a videogame published in the previous year. To be eligible for WGA consideration, games must have been released between December 1, 2017 and December 31, 2018, and feature on-screen writing credit(s). Credited videogame writers must have been or must have applied to become members of the WGA Videogame Writers Caucus at the time scripts were submitted. Work that was not produced under WGA jurisdiction was also eligible for submission. Judging for the WGA Videogame Writing Award is conducted by panels comprised of Videogame Writers Caucus members and/or Writers Guild members active in videogame writing.